Citroen have for years been somewhat renowned for creating completely out of the box cars that do not conform to any sort of normality and indeed this quirky side to the French brand had died off over recent years. 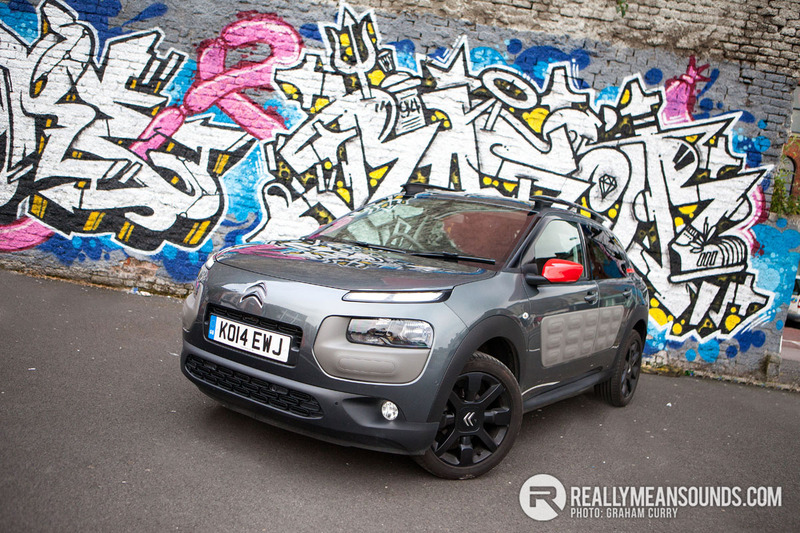 That was until last year when they launched the C4 Cactus. This is one of very few mass production cars that still looks like what most cars once looked like on a sketch pad, a concept! Concepts are what manufacturers bring to motor shows to showcase just what “could be” and usually, in reality the production models are far removed from the concept. 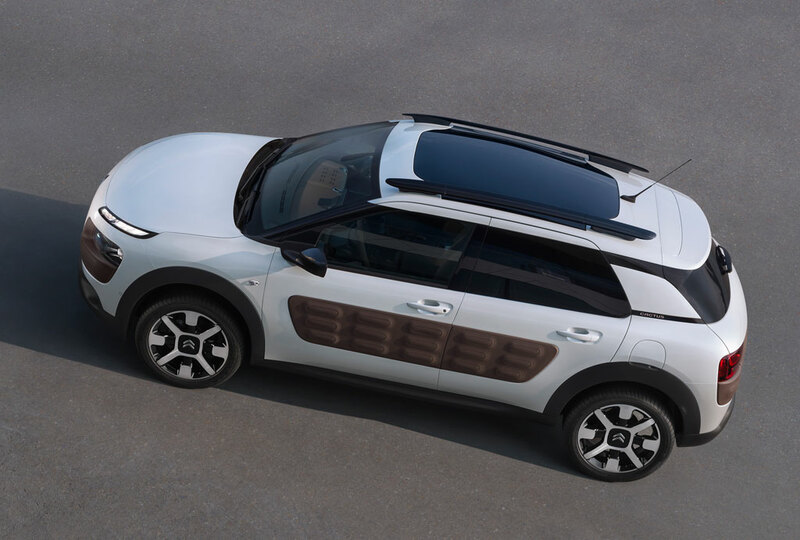 Citroen dared to be different with the Cactus and indeed not only thought outside the box, but took that box and kicked it the length of the Champs-Élysées and into The Seine river, never to be seen again, for this we salute you! Why be the same as all the other manufacturers? why design something that is just the same old? It’s healthy to let the hair down once in a while and its refreshing skinny dipping at moonlight and I think the C4 Cactus fulfils a healthy and refreshing design brief where the Citroen designers have let their hair down and got together at moonlight for a refreshing dip. Before taking delivery of this car I was rather excited by it as I would be fun loving, think outside the box and like to let the hair down a little at times (or what’s left of it), so this cars personality suited mine perfectly when written down on paper. In the real world, as expected; our personalities matched just like the custard and caramel in a Crème brûlée, very smooth with a sweet after taste. On receiving the car I was impressed with the colour choice and combination of red and black complimenting the metallic grey paintwork, it looked fun and it was fun! Part of the fun look is thanks to the “AirBumps” of which you can choose four colour options depending on which you think would best suit your body colour. Taking three years to develop they aim to protect the Cactus from minor bumps and grazes and look like a large bubble wrap plaster for want of a simple explanation and indeed they absorb the daily strains on a car just like bubble wrap and protect like a plaster. The designers didn’t forget about the inside of the Cactus either, with leather strap door handles and a glove box that looks like a leather strapped briefcase with rubber nodules which help prevent a phone or such likes sliding about. The infotainment system was fabulous and within easy reach of the sofa like seats which were very comfortable to say the least with plenty of room for four adults to go on a long jaunt comfortably. The dash hosts two flat screens, one for the rev and speed which sits behind the steering wheel and the main screen is in the middle of the dash, a very prominent feature it is also. This middle screen is your digital gateway to the Cactus, controlling the DAB radio, BlueTooth, Sat Nav and climate / air con features via the touch screen, it also proved itself with the quality of the reverse camera. The model we tested was the Flair with a host of optional features, one of which was the glass roof, this made the cabin seem larger with the extra light flooding in and indeed added to the quirky feel of the Cactus perfectly. In the boot there was plenty of room for a large suitcase or two and indeed a buggy with a week’s shopping for a family, or indeed if your lifestyle is as quirky as the Cactus then you would have no problems filling the boot with climbing gear or a handful of wet suits and gear for a day’s surfing with the boards strapped to the roof. Driving the Cactus was a pleasure. Simple and easy with plenty of grunt from the 1200cc turbo petrol engine going via the five speed manual gearbox to the ground, plenty of torque and with a small turbo was usually “on boost” meaning it was far from sluggish in and out of town. Handling wise it could be a little tighter, there was quite a bit of body roll which meant a spirited drive along a nice B road on a summer evening may result in lifting the keys to another car in the drive over this, which is a shame as the cactus has so much personality it’s hard not to lift the keys for it. I have as good as signed off for this car when I remembered the Citroen Park Assist feature, this is the first time I have had the bravery to trust sensors to steer into a parallel parking space in a busy city centre but the little Cactus done itself proud and it was an incredible feature that would see the less confident parker into spaces with ease. Your crème brûlée didn't copy over too well. Definitely not a looker, is it? | Your crème brûlée didn't copy over too well. Definitely not a looker, is it? @Cooper must have eaten it mid transfer. Being a looker or not is a personal thing, and individual to a lifestyle, i personally love it and would drive one no problem :D an old saying i use a lot "why be like everyone else, when you can be yourself"
Different isn't always better IMO, personally I think it's terrible looking. Thinking outside the box for Citroen used to be inventing technology such as self levelling suspension and swivelling headlights to allow further sight around corners; I'm not convinced putting gimmick bubbles on the side of a door or leather door pulls puts it any further ahead of it's competition. I like them, and I have no idea why!